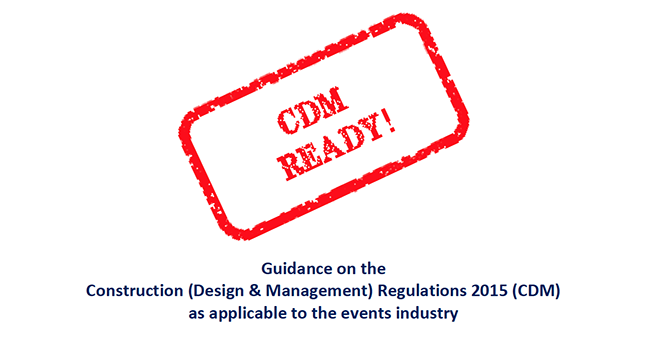 Star Events has published CDM Ready! the first event industry specific interpretation of the updated Construction (Design &amp; Management) Regulations, written to complement the recently released Code of Practice document. Introduced on 6 April, the revised regulations mean all events with structures must have a Client who in turn appoints both a Principal Designer (PD) and a Principal Contractor (PC). The PD’s primary role it is to ensure that health and safety is planned into a project from the design stage through to the start on site, while the PC takes charge of, and manages, health and safety on site.